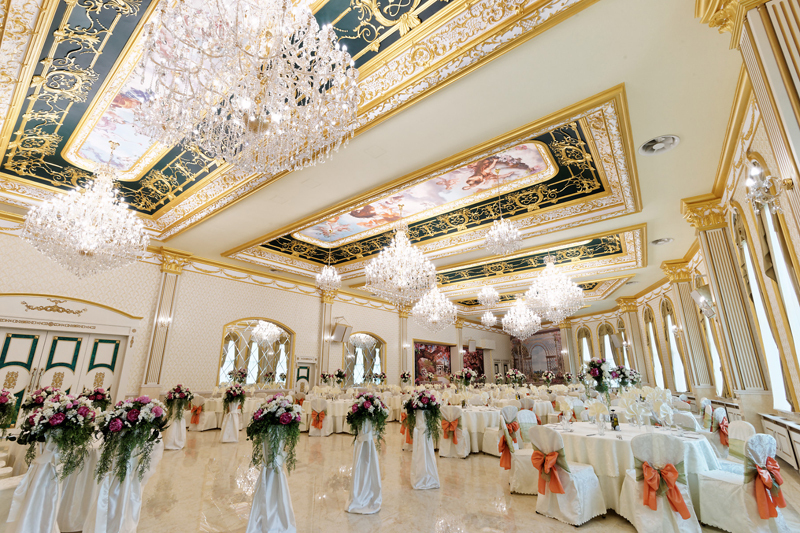 Complex “Montecito” opened its newest jewel – Ballroom “Montecito Hall”. 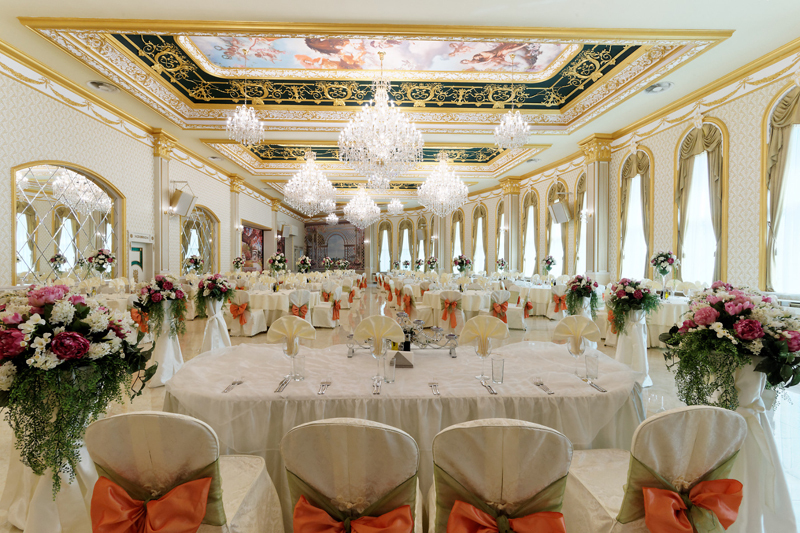 The hall is one of the most – beautiful and charming rooms in Sofia – 400 sq. 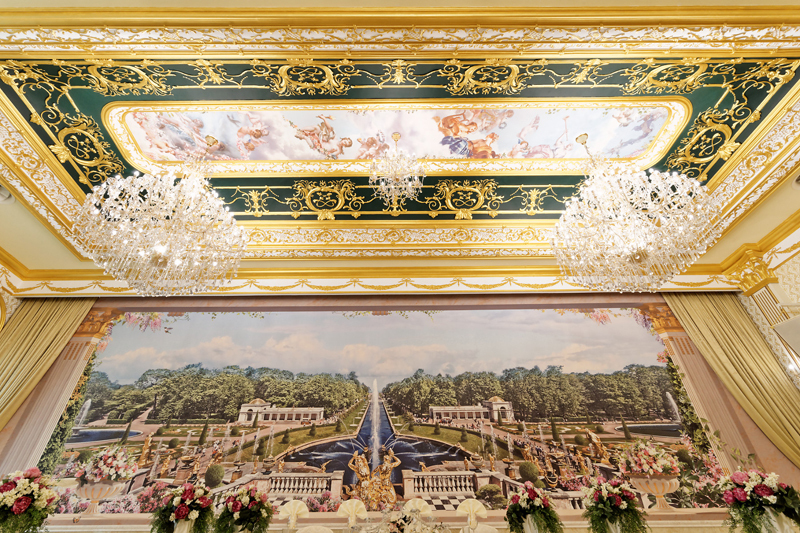 m, a height of 6.5 meters, 14m/28, 5 m / 6.5 m during the day is bathed in natural sunlight in the evening in grand crystal chandeliers, designed in a classic style. 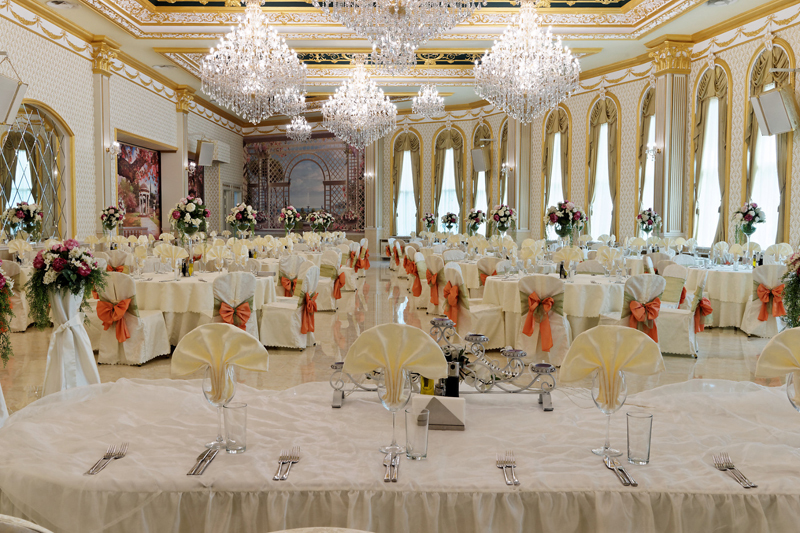 In a stylish and sophisticated atmosphere, guests can enjoy the luxury and you will feel cozy and comfortable. 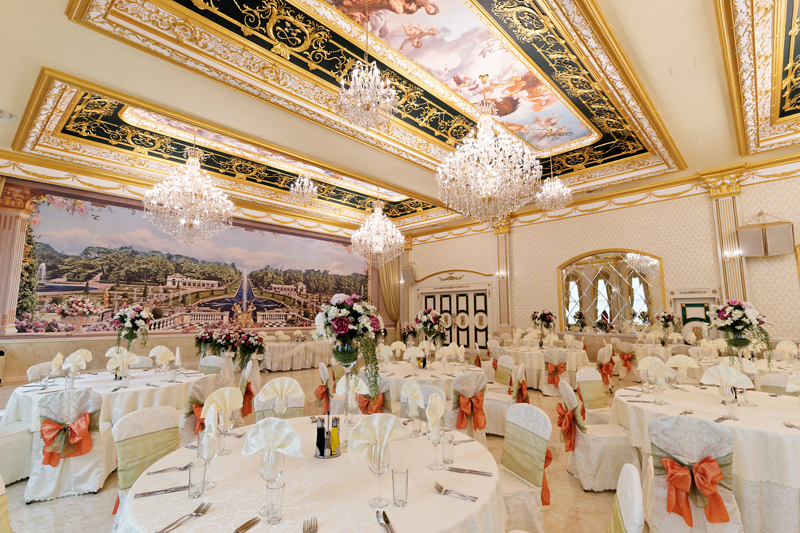 “Montecito Hall” has 300 seats, can be combined with the lounge restaurant “Montecito” by sliding wall and the capacity increased to 500 seats at round banquet tables with various arrangement or 400-700 seats high cocktail tables with individual service or buffet. 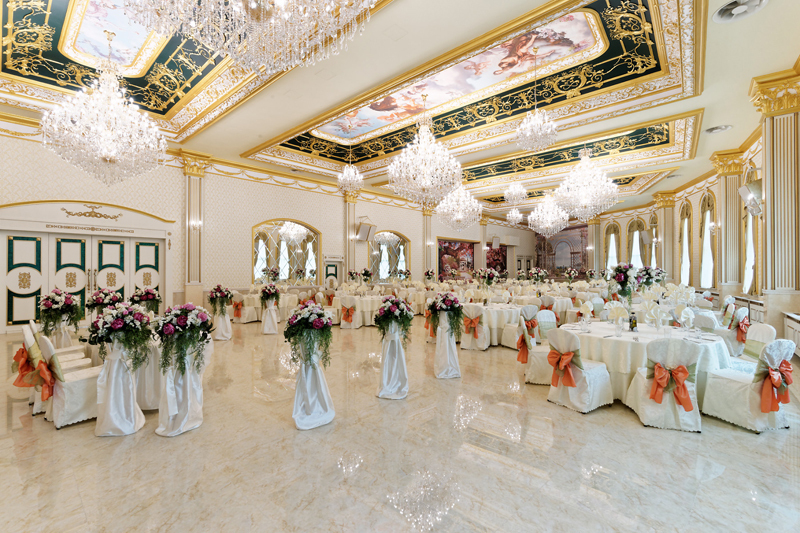 As desired hall can be arranged in style teatre 350 seats, 250 seats classroom and u-shape 100 seats. It has perfect sound, screen, multimedia, internet and flipchart. 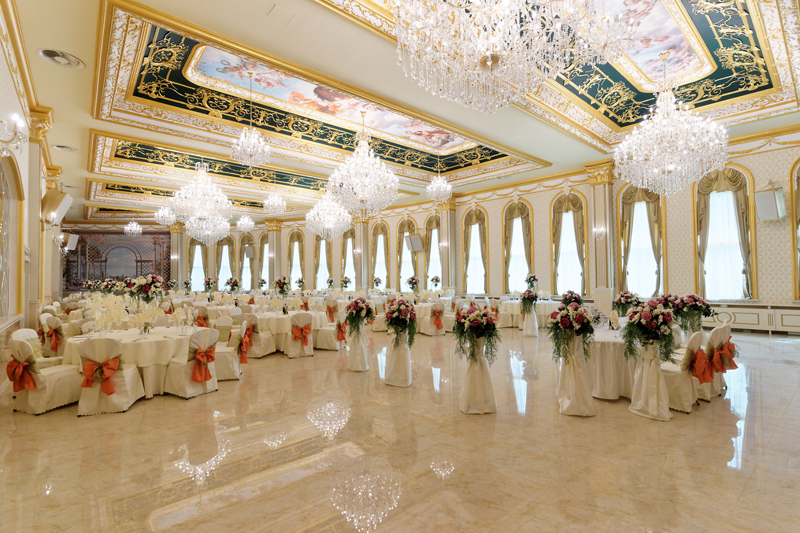 Ballroom “Montecito Hall” is suitable for weddings, cocktail parties, conferences, forums, congresses, seminars, presentations, exhibitions, lectures, general assemblies, meetings, media events, discussions, trainings, workshops, concerts and of course, private events , anniversaries and musical events.